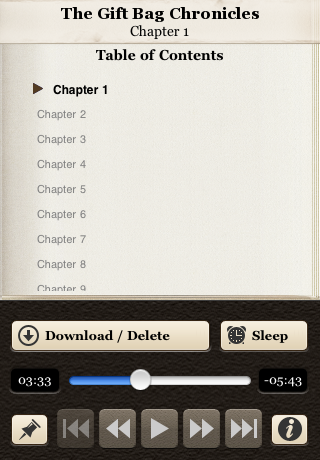 This application contains a professional recording of The Gift Bag Chronicles -- wrapped in a beautiful and elegant player to create an immersive and enjoyable audiobook experience. 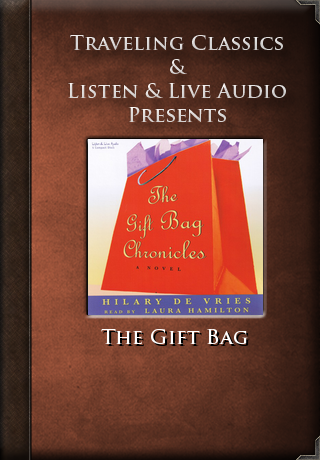 The Gift Bag Chronicles continues the outrageous misadventures of Hollywood girl-about-town Alex Davidson, who has moved up the ladder at her firm--formerly a mere publicist, she's now the head of 'event planning' division, which means she's a party planner. And what goes on behind the scenes while the real stars (and the plastic-surgeons who want to be treated like real stars) sip champagne, makes for the funniest, zingiest, sexiest story yet.